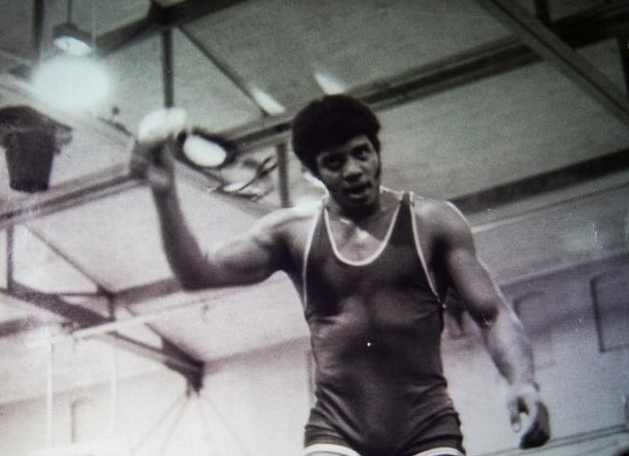 We know that Neil deGrasse Tyson was something of a wunderkind during his high school years. If you're an OC regular, you've read all about how Carl Sagan personally recruited Tyson to study with him at Cornell. Deftly, politely, the young Tyson declined and went to Harvard. There's perhaps another side of the precocious Tyson you might not know as much about. The athletic side. While a student The Bronx High School of Science, Tyson (class of 1976) wore basketball sneakers belonging to the Knick's Walt "Clyde" Frazier. He ran an impressive 4:25 mile. And he captained the school's wrestling team, during which time he conjured up a new-fangled wrestling move. In professional wrestling, Ric Flair had the dreaded Figure Four Leg Lock, and Jimmy Snuka, a devastating Superfly Splash. Tyson? He had the feared (if ever actualized) "Double Tidal Lock." He explained the physics-based move on Fox Sports Live. Watch it below, and if you have to suffer through an ad, blame Fox and Youtube, not us.